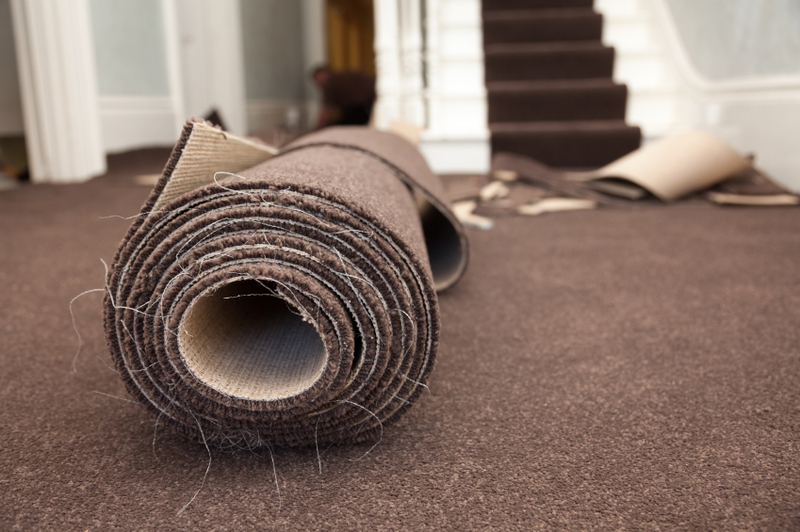 Thinking of upgrading your flooring with new carpet? There are several options to consider when selecting a type of carpeting material. Most flooring companies carry carpeting made out of four different types of materials. Each material has its advantages and drawbacks. Calling or visiting a flooring showroom like Flooring HQ will allow you to feel and compare the different types of flooring and find the carpeting solution that works for you. Nylon is a synthetic type of carpet fiber created by DuPont Chemicals. Nylon fiber carpets are typically viewed as the most versatile type of carpeting material. For this reason, it is the most common type of carpeting available. It is strong, uniform, durable, and able to be colored easily. Most nylon carpeting is available in a variety of loop and cut styles. With nylon fiber carpeting, you have an exceptional amount of diversity and durability for any type of remodeling project. PET fibers use polyester because of its resistance to staining and fading as well as for its unparalleled softness. While it holds up less well than nylon, polyester carpet fibers are soft, stylish, and will not stain making them a beautiful and practical addition to any room. Polyester is one of the cheaper types of carpet fibers to produce so chances are that it will be a good option for those who are price conscious. Olefin, also known as polypropylene, is a material that does not absorb water. The advantages of this are that it is stain-resistant, fade-resistant, chemical-resistant, and weather-resistant. Olefin fibers typically offer fewer options for colors because the dye is built into the fibers. Berber carpeting and commercial carpeting are typically made from olefin fibers. Olefin is not known for being easy to clean. Triexta Polyester, also known as Polytrimethylene Trephthalate – Triexxta and PPT, is another type of polyester carpet fiber invented by DuPont and is made from corn. This material is known for its exceptional ability to repel stains. Therefore, this is one of the easiest types of carpet fibers to clean. If you’re searching for a more natural material, some companies manufacture carpeting fibers from wool. Typically, these carpet fibers are mixed with a bit of nylon to increase durability. Wool carpets are very luxurious but must be professionally cleaned and can cost a lot more than synthetic carpet fibers. For this reason, it is important to consider what types of needs you have for your carpeting. Speak with a friendly associate at Flooring HQ for any questions that you might have.